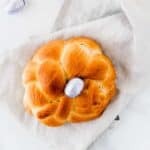 These cute and little vegan braided Easter bread are the perfect sweet bread for your Easter brunch with family and friends. 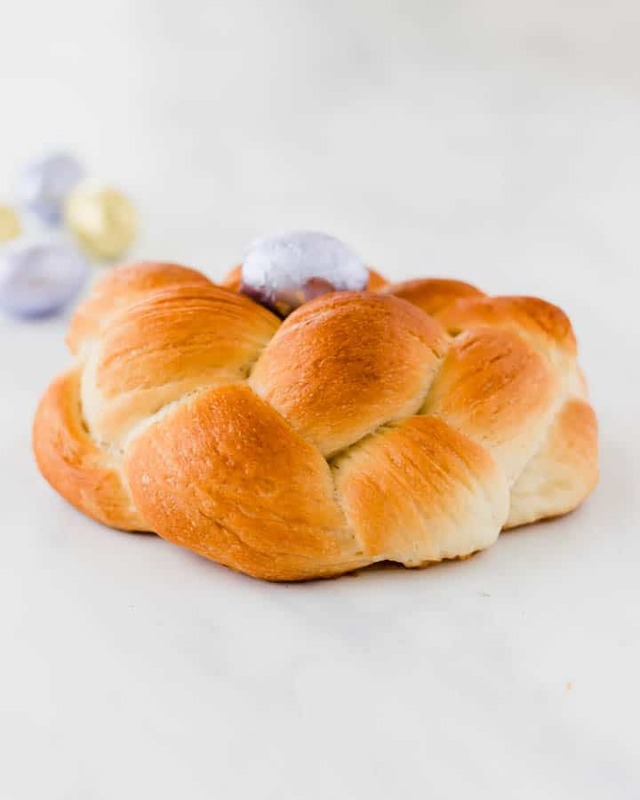 Easter bread is a braided bread made out of a sweet yeast dough which is airy light and can be perfectly served for your Easter brunch. Unlike a usual braided bread, this one is shaped into a circle and therefore can be filled with vegan Easter eggs or chocolate eggs. 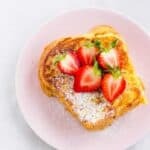 The vegetarian variation of this recipe is often made with raw eggs, which are placed on the bread before baking. 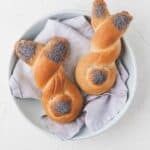 If you like vegan baked goods for Easter, you should check out this recipe for vegan bunny bread rolls. 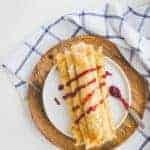 Your kids are going to love them. There are two ways to shape braided Easter bread. 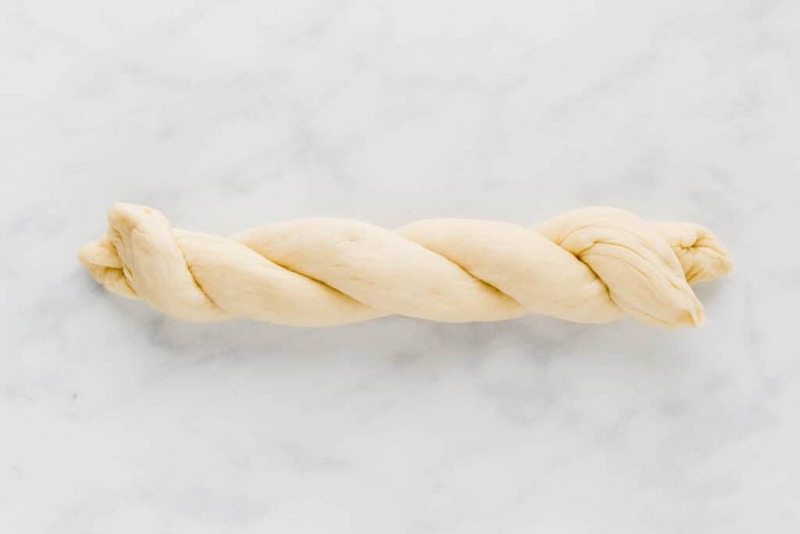 Using three ropes (1. picture) and braid them into a lovely braid, or using two ropes (2. picture) and twist them into a braid. The first one is a little more advanced but more beautiful, and the second option can be easily made with kids. 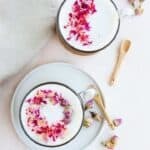 You will find the guide for 3 ropes in the recipe card and video. The second option is explained with step-by-step images in the blog post. 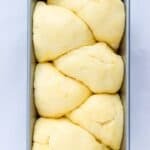 You need to prepare a sweet yeast dough with plant-based milk and margarine, and let it rise for 1.5 hours at room temperature. 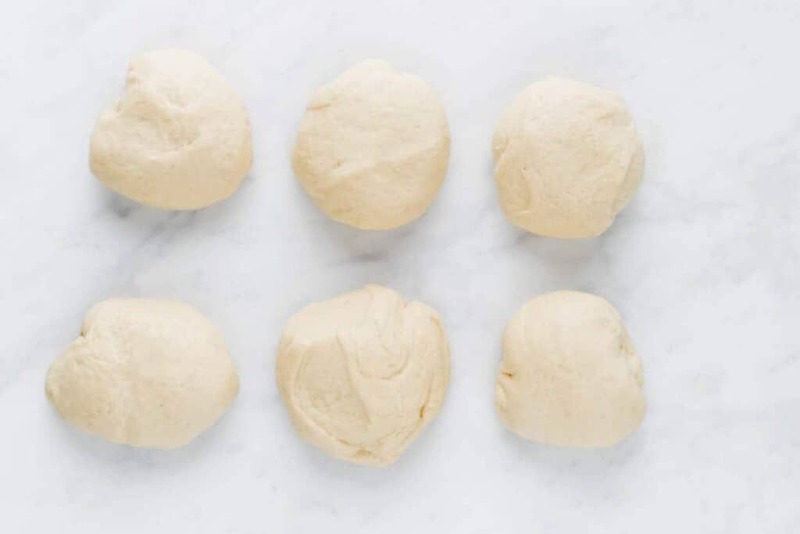 Overnight Rising: Another option is to prepare the dough in the evening and let it rise overnight in the fridge. 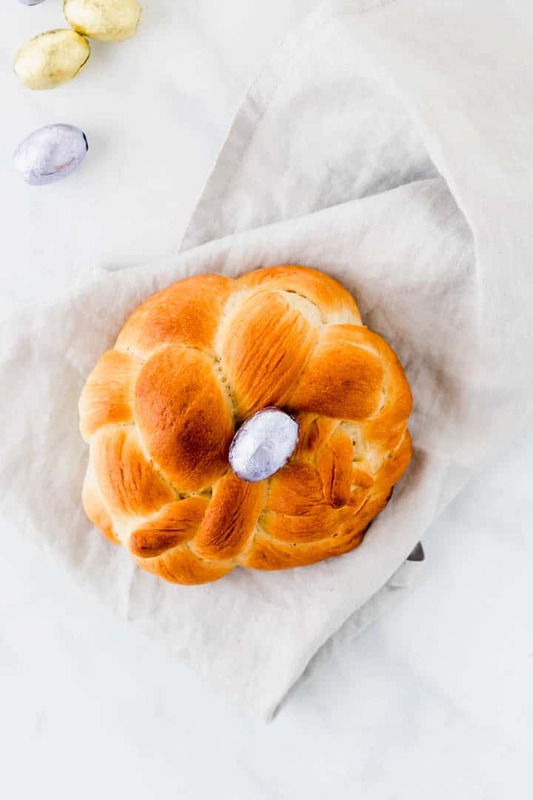 The next morning, you only have to shape and bake the bread, which is convenient if you have a lot of other things to prepare for your Easter brunch. 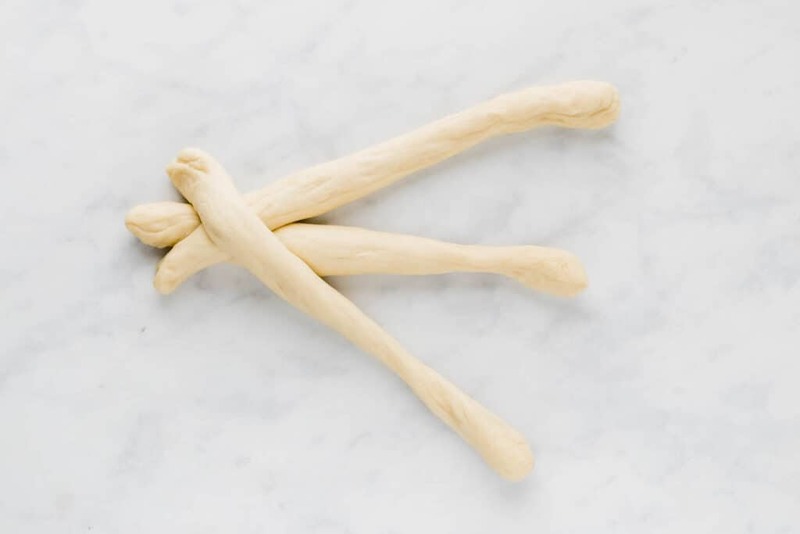 Prepare in advance and freeze: Yeast dough is always best when fresh. 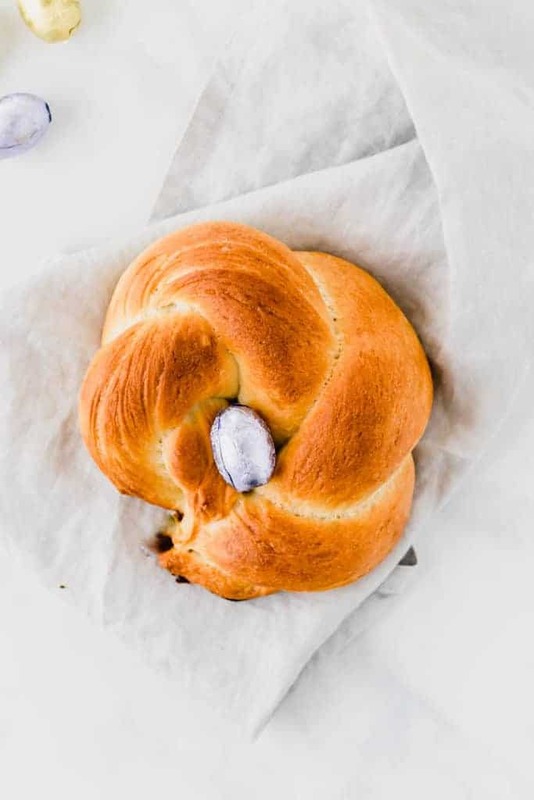 But to keep your efforts as little as possible during the Easter morning, prepare and bake the bread in advance. Let them cool down for 15 minutes after baking, transfer in a zip bag, and freeze. 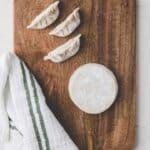 Defrost them directly in the oven (356°F/180°C). Divide each part into another 3 equal pieces. Roll them into long ropes (10″/25cm). 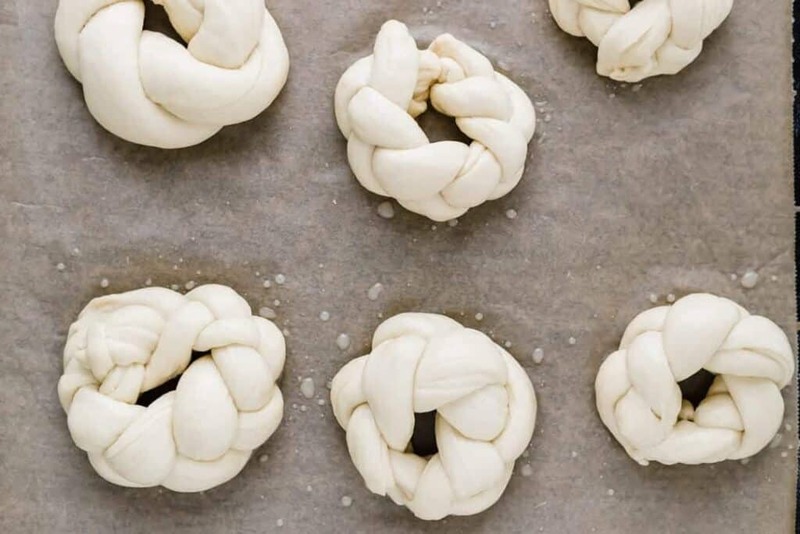 Braid 3 ropes into a braided bread. 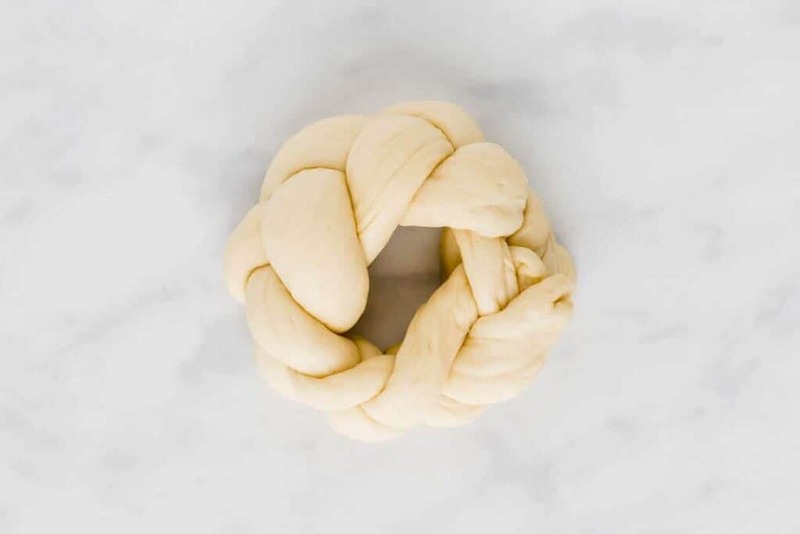 Loop the braided bread into a circle and gently pinch the ends together. 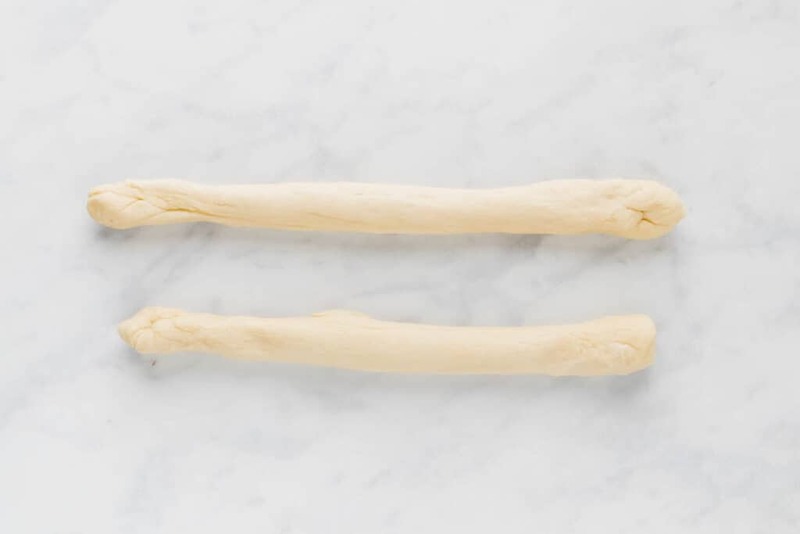 Divide the dough into 6 (larger bread) or 8 (smaller bread) equal parts. Divide each part into another 2 equal pieces. Twist every two ropes into a braid. Place on a with parchment paper lined baking tray and brush with the bread wash (soy milk & agave nectar). 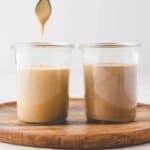 Mix the yeast with the lukewarm soy milk and sugar in a little bowl and let it sit for 5 minutes until foaming. 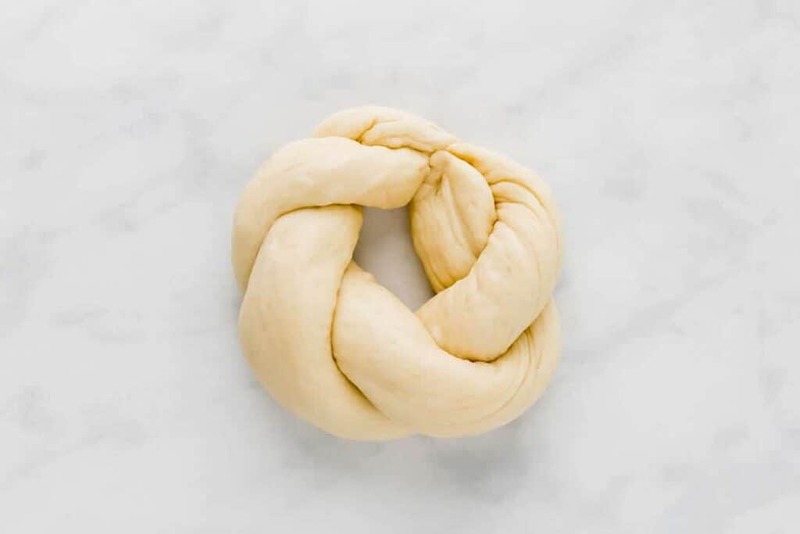 Knead it with the flour and salt at low speed for 5 minutes in your kitchen machine. Add the margarine and knead for another 5-10 minutes at medium speed, until you have a smooth dough which doesn’t stick to the bowl. Cover with a damp tea towel and let it rise for 1.5 hours at room temperature (or overnight in the fridge → see notes). 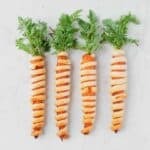 Transfer them on a with parchment paper lined baking tray, brush it with the bread wash, and let them rise for another 30 minutes at room temperature. Start preheating your oven to 395°F/200°C. 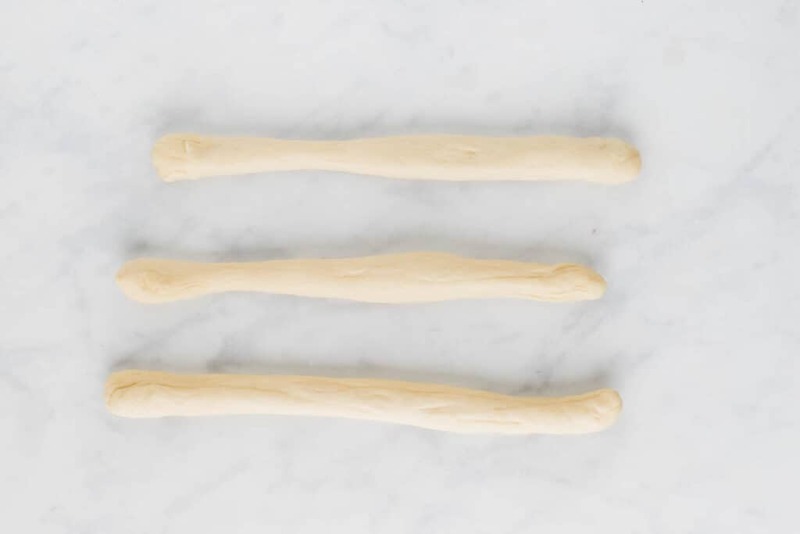 Brush them a second time with the bread wash and bake for 25 minutes until golden brown. 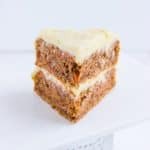 Let them cool down on a cooling rack. 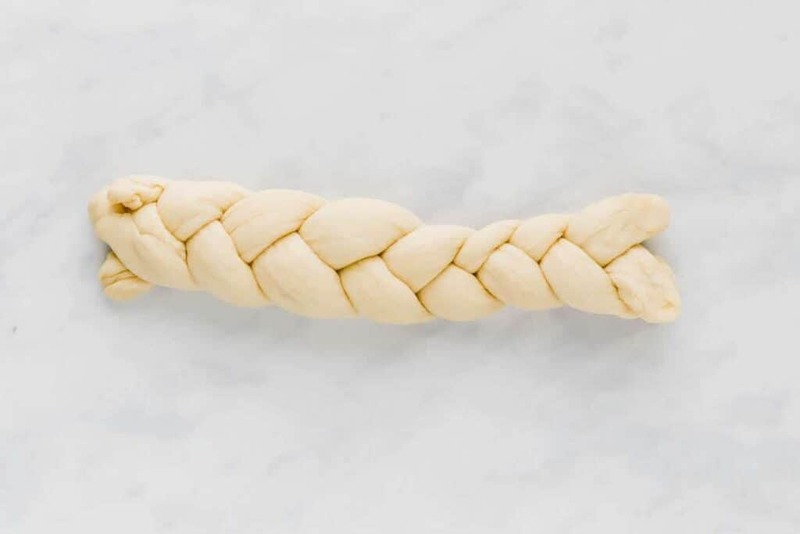 The recipe makes 6 braided Easter bread. 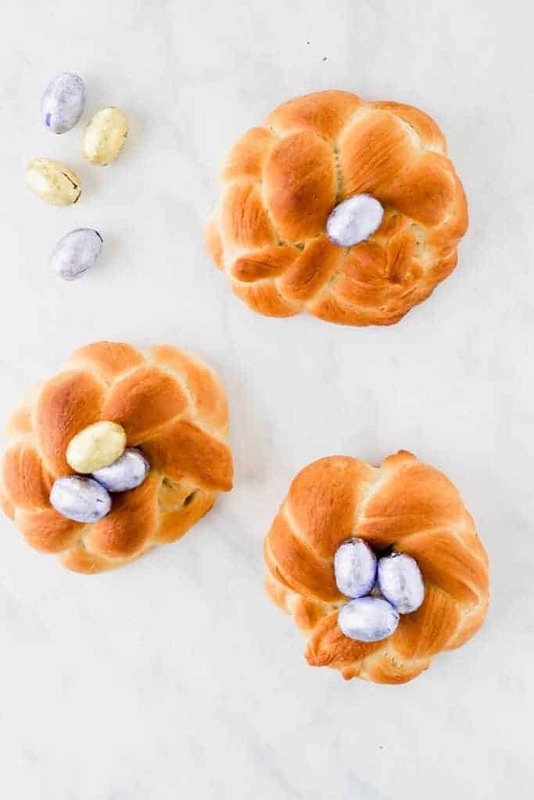 Decorate them, once cooled down, with vegan Easter chocolate eggs. 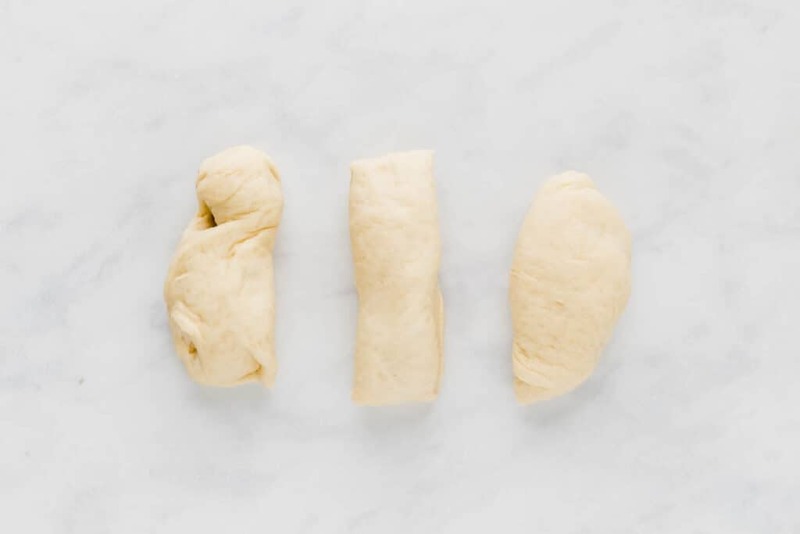 Prepare the dough (Step 1&2 ) in the evening and let it rise overnight in the fridge (instead of 1.5 h at room temperature). The next morning, start with step 3.